Minnesota Chapter 317A Cemetery Law - Gary C. Dahle, Attorney at Law. Minnesota Chapter 317A Cemetery Law. that I may bury my dead out of my sight. 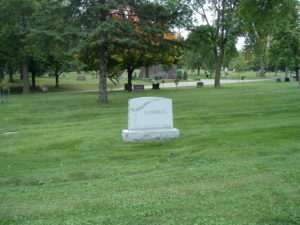 Minnesota Statutes, Chapter 317A became effective on August 1, 1989, and thereafter, Minnesota Chapter 317A Cemetery Law has governed all Minnesota non-profit corporations, including many churches – and to some extent, their cemeteries. Minnesota Chapter 317A Cemetery Law required that all Chapter 317 corporations which had not elected to be governed by Chapter 317A would automatically become subject to its provisions on January 1, 1991.
later to Chapter 317A – either voluntarily, or automatically. Minnesota nonprofit corporations which were governed by either Chapter 315 or Chapter 317 could have elected to be governed by Chapter 317A by filing a resolution which had been approved by its members with the office of the Minnesota Secretary of State. (4) the name and address of each incorporator. sometimes, doctrinal statements of the church. Minnesota Statutes, Chapter 317A defines the term “bylaws” to mean the code adopted for the regulation or management of the internal affairs of a corporation, regardless of how designated. Bylaw provisions for a Minnesota non-profit corporation cannot be inconsistent with any terms contained in the corporation’s Articles of Incorporation, and neither the Articles of Incorporation nor the Bylaws can be in conflict with provisions of Chapter 317A. However, Minnesota Chapter 317A does provide that a Minnesota non-profit corporation’s statutory powers may be subject to certain limitations which are identified in its Articles of Incorporation or Bylaws. all directors are entitled to vote, and have equal rights and preferences, except as otherwise provided in the articles or bylaws. “Corporation” means a corporation that is governed by this chapter. (2) pay dividends or other pecuniary remuneration, directly or indirectly, to its members, other than to members that are nonprofit organizations or subdivisions, units, or agencies of the United States or a state or local government. A corporation may be incorporated under this chapter for any lawful purpose, unless another statute requires incorporation for a purpose under a different law. Unless otherwise limited in its articles, a corporation has a general purpose of engaging in any lawful activity. A corporation engaging in conduct that is regulated by another statute is subject to the limitations of the other statute. Subdivision 1. Benefits for members. (4) creation, maintenance, investment, management, and disbursement of necessary endowment, reserve, and other funds for these purposes, including a trust fund or corporation that funds a “church plan” as defined in section 414(e) of the Internal Revenue Code of 1986, as amended through December 31, 1988. . . .
Subd. 3. Property exempt from taxation. Except for property leased or used for profit, personal and real property that a religious corporation necessarily uses for a religious purpose is exempt from taxation. are public cemeteries within the provisions of . . . chapter . the governing documents of a Minnesota nonprofit corporation formed under Minnesota Statutes, Chapter 317A, would need to clearly identify that the corporation was a religious corporation in order to organize and operate a Minnesota private cemetery.